Price is what you pay, value is what you get, is the legendary advice of investor Warren Buffett. His partner in wealth-creation, Charlie Munger, said pretty much the same thing in a different way: You must value the business in order to value the stock. Now one way of looking for value before you pay a price for it is to simply identify it before it becomes a public stock. Which means spotting a company well before its founders take a walk down Dalal Street with an initial public offer (IPO). 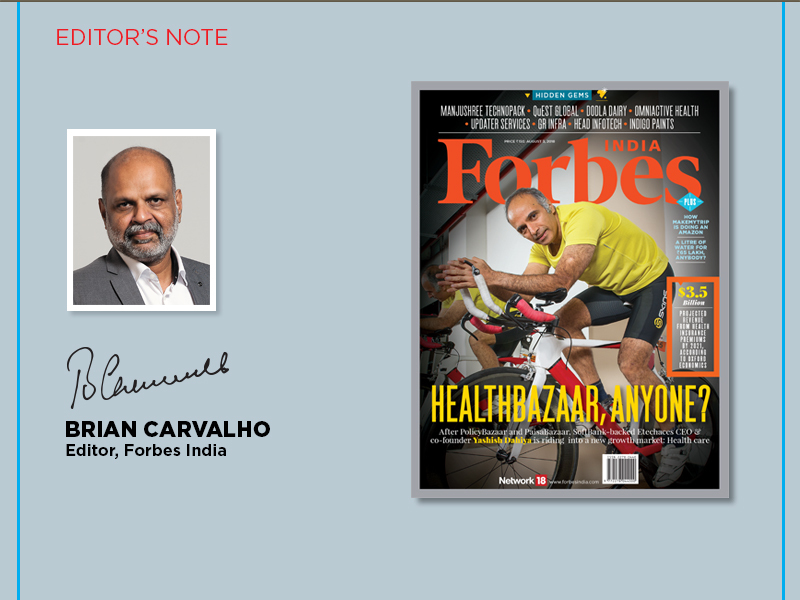 The endeavour of Forbes India’s annual ‘Hidden Gems’ exercise is to do exactly that—to find unlisted companies with quality management, a competitive advantage, sound financial backing (of venture capital or private equity), and prospects for sustained growth. The collection of eight such unlisted companies put together by a Forbes India team—with Senior Correspondent Varsha Meghani anchoring the project—is a diverse one. Not all of them will opt for an IPO, but they will at some stage have to decide the next step and ways to fund growth. Staying privately-owned has its own advantages. Or even delisting and then opting for private equity to fuel further growth. That’s the route Manjushree Technopack, a plastic packaging company, took. The firm went public in 1995, then followed on with a public issue in 2008 before delisting in 2015. By raising money at regular intervals, founder Vimal Kedia has been able to expand to most parts of the country. Manjushree is an outlier, in that many of the Hidden Gems are eyeing the more conventional route (from PE to IPO). We looked out for companies that could turn in a decent return on capital on a sustained basis, that don’t guzzle capital, and those that have mind space and, with it, market share. Above all, these businesses are not attempting rocket science which, from an investor point of view, works just fine. Buffett stays away from the tech sector because he doesn’t understand its business models. That may mean that he missed out on a Google or an Amazon (Apple is a rare tech pick) but don’t forget he raked it in by holding onto stocks like Coca-Cola and Gillette. “I want a simple business, easy to understand, great economics, honest and able management…” is how Buffett once put it. Our cover story is about a potential gem—that’s less hidden after SoftBank led an investment of $238 million (₹1,630 crore) into it—in a new-age digital business. Etechaces, the holding company that operates PolicyBazaar and PaisaBazaar, is now—in old-economy lingo—forward-integrating from the insurance and loans business. As co-founder Yashish Dahiya tells Tech Editor Harichandan Arakali, the logical next step after selling health insurance is to generate demand for health care itself, which in turn will serve as a catalyst to sell more health insurance. Turn to page 22 for Arakali’s in-depth analysis on why and how DocPrime (which is what the health care venture has been christened) fits in with the flagship business. Staying with online businesses, MakeMyTrip (MMT) has emerged as India’s largest online travel aggregator. But, to ask a fair question, where’s the pay dirt? The founders are in no hurry to show profits, preferring to reinvest in growing the business. Yes, as Senior Assistant Editor Rajiv Singh points out, MMT’s strategy has its similarities with a certain American etailer. Go to page 32 for more.